Are you or your group looking for a place in Lake Chelan to have a Business Retreat, Team Building, Meeting, Reception, Birthday, Anniversary, Holiday Party, Reunion, or some other special event? 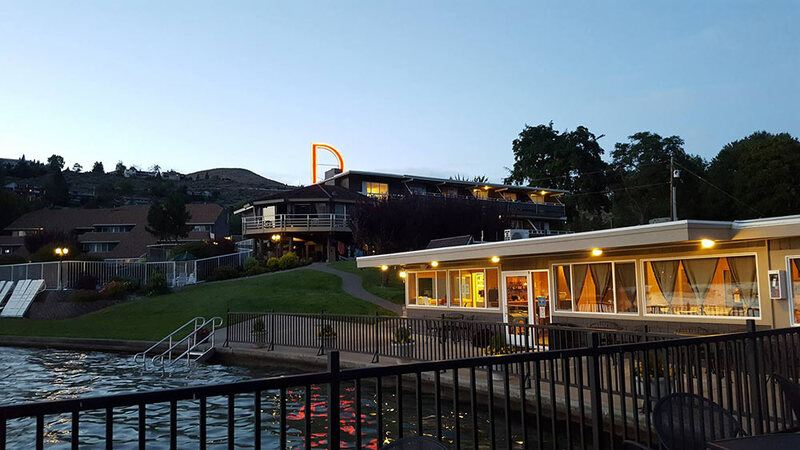 Darnell’s Resort at Lake Chelan is a perfect setting for small groups to get together and have fun or focus on business or both? Darnell’s Lake Resort is situated on over four acres, offering plentiful green space and 300 feet of sandy beaches. This very private and spacious setting is perfect for special occasions, business retreats and family or groups gatherings. Darnell’s Lake Resort is within walking distance of downtown shops, restaurants and recreational opportunities. 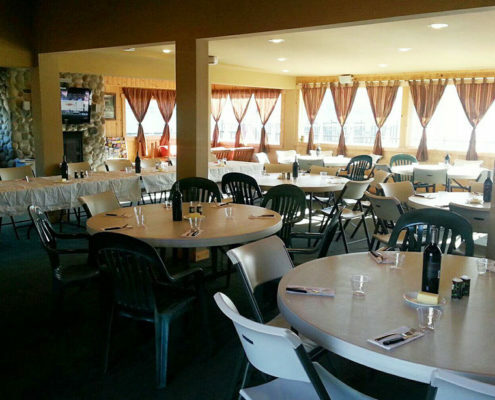 Cabana: Up to 75 attendees-The Cabana is located on the beautiful shores of Lake Chelan. This 1200 sq. ft room can seat up to: 75 Banquet Seating, 75 Board Room, 54 Classroom, 38 Hollow Square, 75 Theatre, or 32 U-Shape. Beach Courtyard: Up to 125 attendees-The 2128 sq. ft. The Beach Courtyard is an open-air court located adjacent to the Cabana. It is also on the waterfront, with seating for up to 125 Banquet Style, or any other seating arrangement for up to 125. Event Lawn Space: Up to 125-Various lawn event areas throughout the Resort are also available. Please inquire, available during non-peak season (peak season is mid-June to Labor Day). A 50% deposit confirms date, with the balance due 30 days prior to your event. Other terms will discussed at inquiry/booking. Lighted Tennis/Pickleball Courts, 9-hole Putting Course, Heated Outdoor Pool, Outdoor Hot Tub, Children’s Play Area, Ping-Pong Tables, Outdoor Barbecues with Briquettes, Beach Volleyball, Horseshoes, Basketball Hoops, Wireless Internet in most Resort areas, Boat Slips (High season only due to lake level). Price Range from $3300-$6000 per night, dependent on dates, 2 night minimum may apply. Rent all 38 units (check in 4pm, check out 11am) and receive exclusive use of all resort areas, including Cabana and Beach Courtyard, Pool and Hot tub is available for your event up to 9pm. Setup/Clean up – additional time beyond rented time charged at $150 per hour on all size events. Rates include one set up, of provided tables/chairs/tablecloths per day, in desired location. Events involving Alcohol require a banquet permit for the time of alcohol service-minimal fee. Event insurance is suggested for larger events.